Today I find myself thinking back over the many years I have been working for good of my local group. Where I registered so many for so many wonderful people. The time took to set up tools for my province and the complements that I have heard from it. For me it has always been hard to bring in such praise. For I do not see my work as exceptional, I do not see my work as anything different than any other herald that takes pride in their job. Recently I have been called a very good herald. Well I do what I can and for my clients I do the best that I can. Am I always on target? 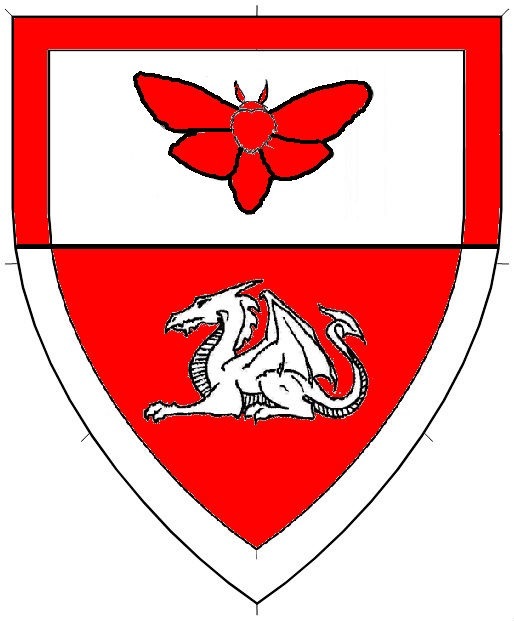 Naaa and there can be times that I find myself unable to help you for your request is to complicated, or I cannot work them within our guidelines, or what is asked is clearly not heraldry, or just failure of myself to encompass all I need to make things work. Add to all that, and I think of all the Very good heralds the East Kingdom has, im good but I am not in that league. Who knows for what I do I could be beaten with my own heralds stick and find myself working my way up the hill to take my place among them one day. This will take time and more work. However, in the meantime, I do attend to pass on as much as I can for many in my region. Some have asked about the blue paw favors. And for me this is a way to recognize those heralds that are doing a great job and need that encouragement to keep on going. I love handing them out and as my deputy has even made it to her email, really encourages me to help educate, train, and make new heralds. So his name came up over a course of many conversations (needless to say that conversation is buried so let us assume that we ran it through fine, check here, there, everywhere and carry on). His device has a bit of a back story about it. So this happened to be his first Great northeastern war, as well his first SCA event, well needless to say he got himself into his cups a bit, came stumbling back and needless to say his lady did not like it or so im told lol. So he was gifted with the nickname of Drunken Bear. With that he wished to play on that factor. First we had to talked about heraldic bears vs constructs, see artist license is wonderful, however heralds will always draw, copy, paste, graft, wiggle our nose, with charges so ours will and often does look different than yours. And not after showing him how his name is constructed, how his device came together, how to fill out the form (in a wonderful 13 page set up I must admit) he is still liking the idea of being a book herald. So let’s get him some clients. Ok, so we have her first name covered, let’s go over to her surname. She originally wished to known of Buckland, indicating a locater or place name. Place names can either be really easy or really complicated, for the trick of them is to locate when they existed in period as a bona fide town or city, as well spelled like how in period. This can be the complicated part as spellings can change depending on where the town is, and under what rule, etc. etc. etc. In this particular case I was unable to easy find what she was asking for within the period we play so went to dial a friend and went straight to family search once again. I could not find of Buckland; however, I could find a surname Buckland. The client was happy, I was happy, it’s a good thing. Her device that she was looking into having a willow tree and a frog. After talking over with her about placement of both, and she indicated line division in a diagonal. 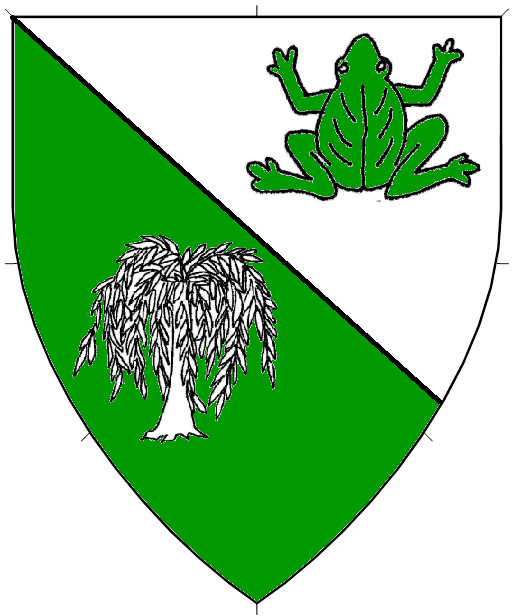 (Spidey sense tingle for see was looking at a per bend), ok then she had an idea of which color (both vert and argent) where she wanted them, and same thing with a willow tree and frog. But what position mmmm? Oh wait she had that covered already showing me a necklace she has with a frog displayed (this is to easy) So we get a vert frog, an argent willow on the opposite sides, I swear this is going to easy let’s run the conflict checks. What do you know not a one? I like devices like this, sweet and easy and the client loves it (and some of the commenters to. The next Contestant I enjoyed the back story with and putting it together was Mòra Ruadh. She came to me after her first event and wished to get a name and device registered this one played on the lines of Mothra the Red. Ok Godzilla. Alright (cracks knuckles) let’s see what I can find out. First she did a bit of back work and was looking to something that sounds close if not nailed Mothra direct, she was looking into an Irish background, and the red do to the ease I guess to make her blush. (and in Malagentia ohhh boy). Ok as I had a couple of other submissions in works I ran her first regional choice toward her (and see good way to educate another one the steps a herald takes) and she took to Mòra. Now to add a reddish one, check the dates of her given name check and then run the Annals to find that Ruadh latterly means the red. So instead of a giant moth, we come to a period similarity that the client enjoys and for the astonishment of a couple of people that swears I can document almost anything, we move on to her device. Upon looking on these stories I am often amazed in the work I am able to help people in my local area, the studies I am constently learning, the trials, the successes, and for some the hick ups as we get people on their colorful way. This entry was posted in Submission Stories and tagged Heraldry on October 6, 2016 by conallandoire. Good day everyone. The one aspect I seem to love about this is that often pairs will come to get their heraldry done, and many times wishing for similar heraldry as their spouses, or something completely different to establish themselves. Regardless of their choices or yourselves the first thing I tell a client is always “what says this is me”. For today I want to start off with a grand friendly lady, a baroness (but at the time she wasn’t) and I still swear her smile is contagious (laughs). Lucie Lovegood of Ramisgate came to me inquiring about arms for herself, after looking over the OandA I found her name was registered in 2011, so that makes it easy. We had a couple of ideas to start off with, she was wishing to have an elk, and a vert background. 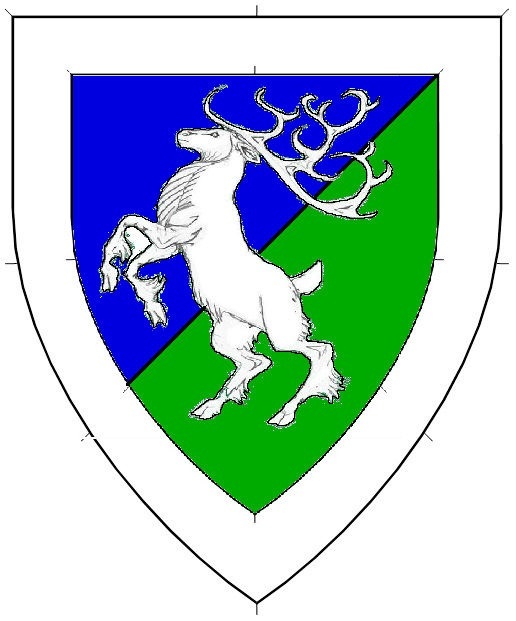 However, that conflicted with the outlands populace badge (strike one), next we move on to do a per bend sinister (top right to bottom left) counterchanging for “Per bend sinister vert and argent, a stag springing contourny counterchanged.” However, the client wasn’t sold on it, (remember this has to say “here I am “) (strike two). It is usually at this time, that the herald and the client have a conference at the mound to discuss strategy. Another run of conflict checking and then we have a Homerun. I adore clients like this for they become part of the process, they learn, and are engaged more than “I want a pretty”. His device was a wee bit tricky. For if I am not mistaken he had the colors and charges in mind, making it work was not to difficult but proved interesting. First off he wanted valknut. In itself cute however it becomes a SFPP (Step for Period Practice) well he has the one so no big deal. Second he wished to have a raven. Ok what position would you like your raven. Would you prefer it displayed? (now caution this would give you your second SFPP and that would be bad. Close was the winner after him looking it over and picking his (cough) position. And learned a bit about positions. 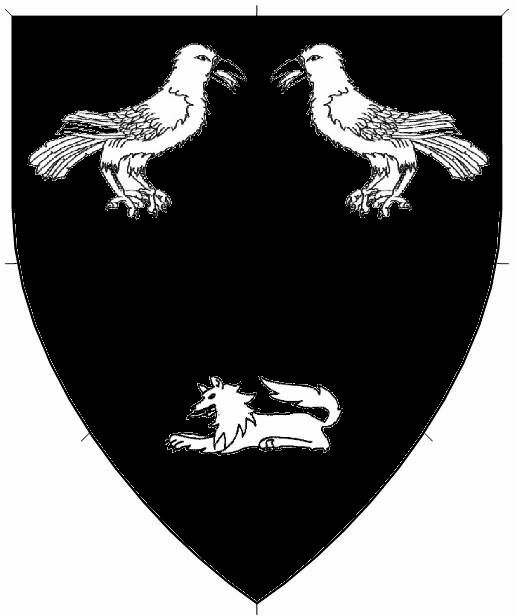 Some need to be accurately displayed in the blazon, however what is considering standard positions or default positions like in this ravens case the (close) does not have to be blazoned. I mean we can have your lion served to you in many different ways. What is your pleasure. Well she didn’t like the rampant and didn’t want all paws on the ground, so passant got the vote, even after I copied and paste the second tail into place to make it work, (mental note to self be careful on which window is the primary when doing such a couple of times I sent in chat a couple of “tails” to her on Facebook for a giggle or two (NO Nicol, not like that geez man). Devices were a bit of a trick to put together. Well let me rephrase that, getting the momentum going became a difficult hurdle, however once the ball started. It was a snowball building as we go. So First both wanted a fox and a raven in their devices. First we tried counter change with a displayed raven and a fox rampant reguardant. To give the impression they were looking at each other. “see I can add a bit of romance to it. 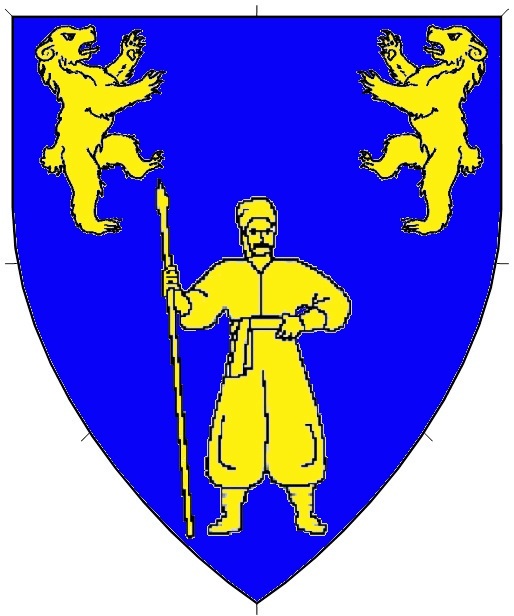 They wished for the colors of gules and azure, and argent for the metal… processing ok divides the field in half one end gules the other azure, have the charges argent. Easy right? First idea didn’t look so hot after I drew it up, so next concept was to divide the field in sinister, have an argent raven displayed on an azure field, and a gules fox, on an argent field. Ok look that over, something is missing im sure we will hit something…. Wait got it. 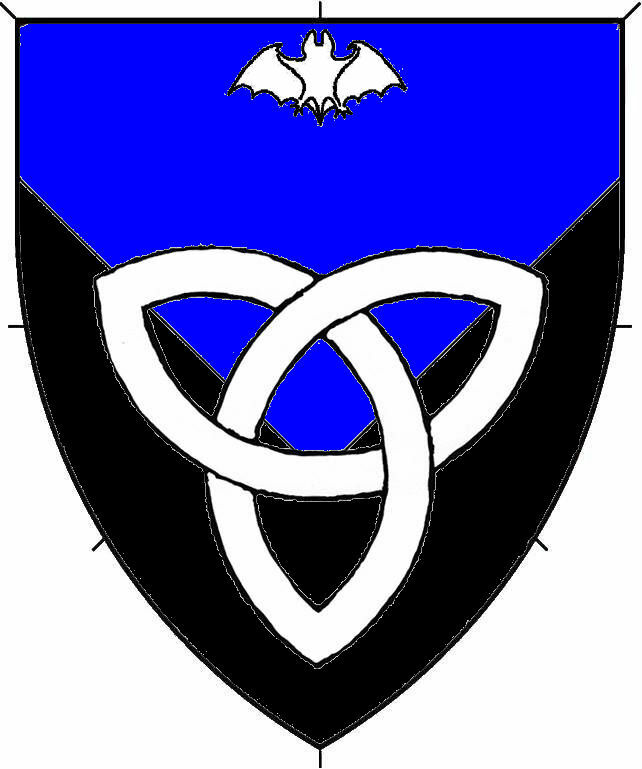 Add a bordure however where the sinister line goes break it up so the bordure is argent where the field is azure and vice versa. That actually looks good. 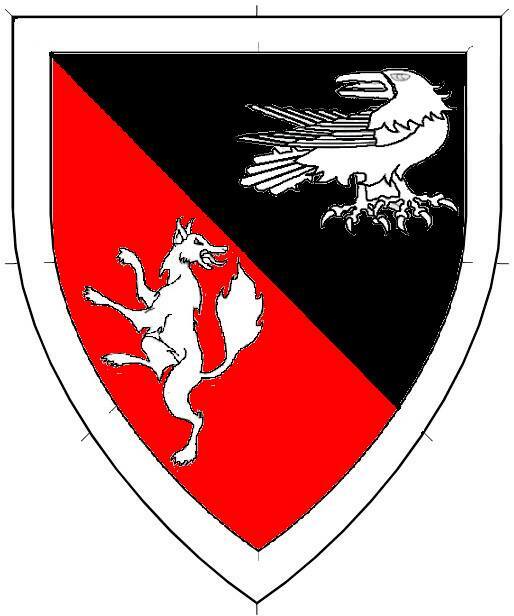 A chat with the clients later proved to like however she wished to have the field one color, and he was looking for black and red (clan colors), ok rethink this, why not change the raven to stop any SFPP kicking us just in case, instead make the raven contourney reguardant. 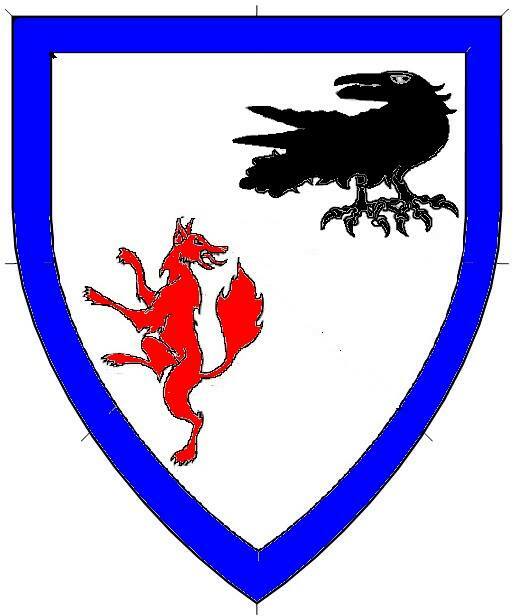 So mix that into the caldron and we get for him “per bend sable and gules, a raven reguardant and a fox rampant reguardant within a bordure argent” and for her “argent, in bend sinister a raven reguardant sable and a fox rampant reguardant gules, within a bordure azure”. Keep not there is some question if this may cause a unity or posture issue, so I will add a post about this if in case that does happen to go into that in detail. From the lands held by Thunder, a Viking came to me and wishing to get his name finally registered and device started. Alright, and wait, he did the work for me already? Bonus, well let’s go it over. With Norse you have to be tricky for many of the characters they would use tend to look different in English, vs Norse. For example, “Þ” That thing right there. At first glance or even quick glance you swear it was just a T and go searching in the wrong spot, however this is how many Norse did a quick “TH”. So after some conversations with the client with Geirr Bassi (I swear if you’re a herald and do not have this book I have to wonder how many Norse you have in your region for it’s the bomb). And Viking answer lady. The pieces of this started forming, to Become Hróarr Þórsson. His device proved to be not as difficult as I was anticipating. 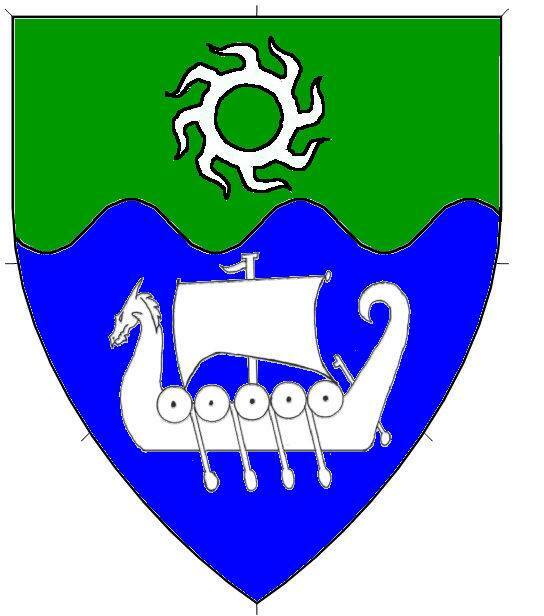 Originally the client was looking into having just a color line division as Norse being one of those that did not really use heraldry. Ok in general but the college will find one issue or another. As well he was looking to use a vegvasir. As one that has never seen it I had to inquire. (see image below). Now let me say, Households get the same rules in name and badge submissions as do personal name and other armory. Also add to that, a household armory gets no distinction and if conflicts with someone’s personal heraldry it can and often does get returned. So in this case a former herald led the leg work out, the name came together nice. However, recall a rule about not linking to an actual figure. So in this house’s case they wanted to be the Priory of St John. John apparently being the founder of the Hospitaliers. Ok first step check to see if I can use him. Uhhh no, can’t do it, nope nope nope. Ok strike that, go to Oscar. And find entries that have been registered (confirmed on the OandA) with st john in it. Sweet. Grab that reference for one it is a precedent, and two it saves time. Look up Priory while I am there and see an entry that “Priory as the designator indicating a named residence (religious house as noted in the Middle English Dictionary). Recent precedent indicates that households based on Abbey are allowed” (well that has to be the easiest name ever created. 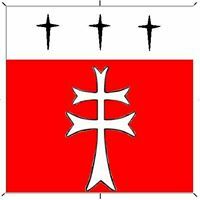 “Gules a patriarchal cross argent, in chief argent three comets sable” for the Priory of St John. Whew well here you go for now and stay tuned cause the next ones are well needless to say funny stories behind them. 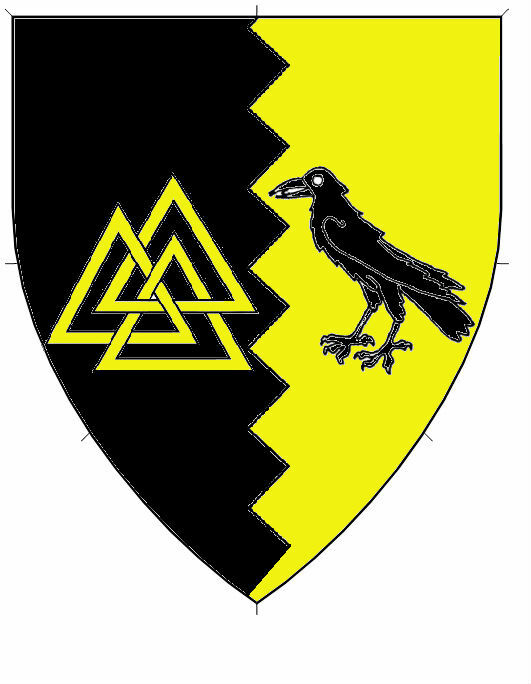 This entry was posted in Submission Stories and tagged Heraldry on October 5, 2016 by conallandoire. As it has been a small while let’s get everyone up to speed on what I have been working on. 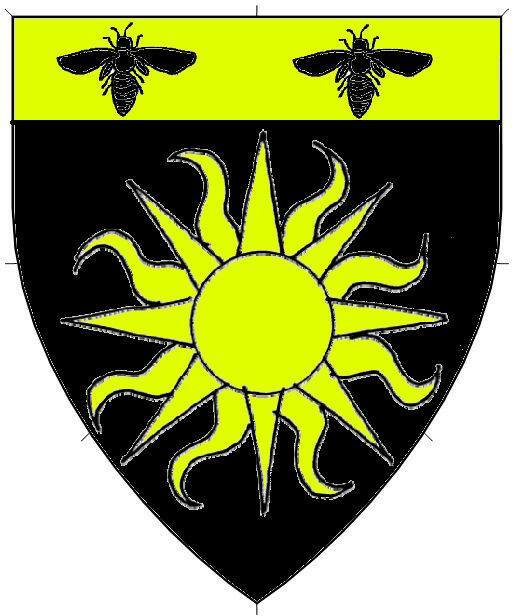 Well with heraldry changes took place from the kingdom to add awards and with that, all those that receive orders of high merit will be conveyed a Grant of Arms along with that. So let’s take a look at Malagentia’s OP. So as I go down everyone’s Orders of High Merit, I have to pay attention to the dates of when they received them. For that is when their GoA would be established on their first Order of High Merit. Might think easy however this can and did change the line up on the OP for someone who receives for an example an Order of Golden Rapier in 1992 vs someone who has an Order of the Silver Crescent in 93 a Court Baron and Grant of Arms in 1993 also. 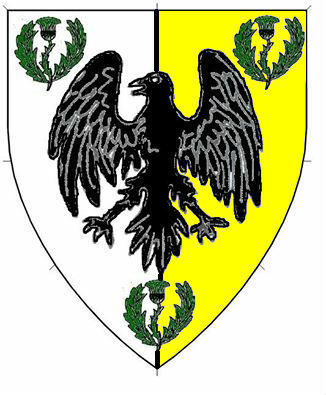 Their Grant is reflected on when that person received the Order of the Silver Crescent and in case of the individual that received the Order of the Golden Rapier in 92 also received a Grant of Arms in 1992 and places that person higher on the OP then the person with the Court Baron and Grant of Arms beforehand. So I spent majority of the time going over each one of the Province’s list, add the appropriate awards, change up the order. Then take breath for the update that had taken in. 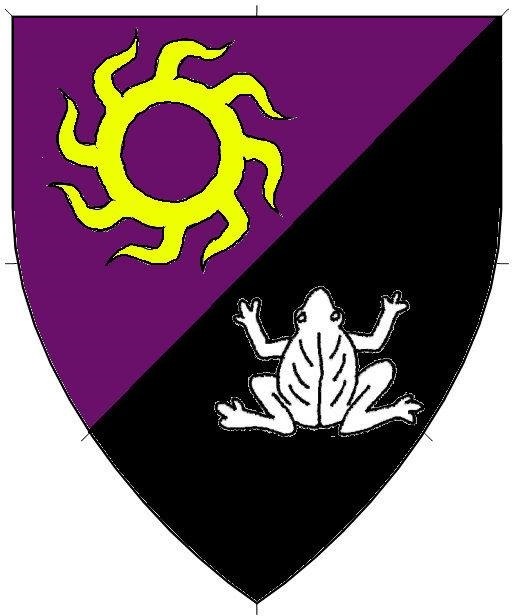 Then I move on to other heraldry that I have been ongoing on for a bit. First up was Elisif Hoarr Kona. 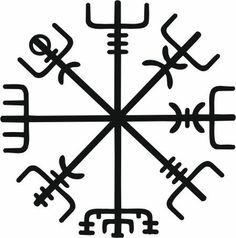 This proved interesting for me for in the Norse culture it is possible for a wife to be named with her husband’s name with the Norse word of “kona” for wife included in this. I have never seen this before however I did search in the Oscar and shown where It has been done before, so I added the reference material to her name and called it good. A friend introduced me to a friend of hers that was looking to get his name and device registered. His name was running into a real life sluggish so I suggest as he was going to be at Pennsic already to speak to herald’s point for at the time frame they would get it completed and in process then waiting on me. Later on he talked to me about the device that he was looking into. He wanted an Irish wolfhound, a sun with two stars in the chief area. He showed me a concept of what he was looking for and then I redid it the shield. 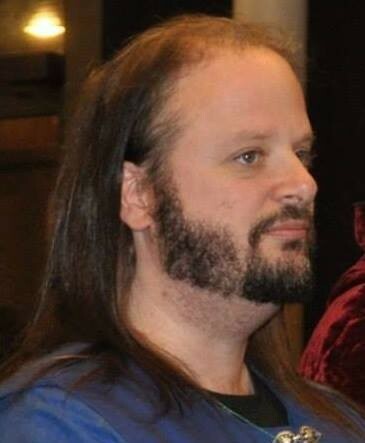 At the time frame he was looking into a mullet of eight points on either side of a sun. 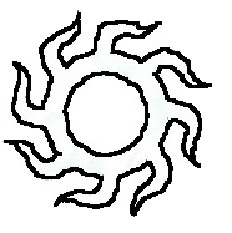 This ran into a rule of conflict with suns and stars. Do to the number of points. This is in kind of having a dagger next to a sword. Same style just a “mini me”. After talking over with the client we decided to go with a seven pointed mullet. 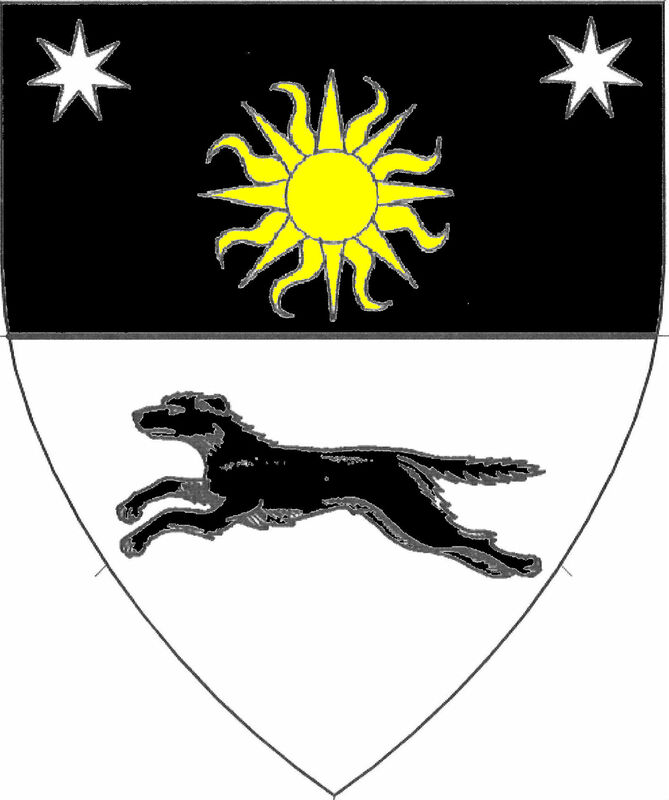 Giving us a wonderful “Per fess sable and argent, a sun Or and an Irish wolfhound courant sable and in chief two mullets of seven points argent” for Fearghus Mac Cailin. Johannes von Braunschweig, Ahhh my friend your name was a joy to work on for I learned a bit more about locative and how it relates to nationality. In your case German. Your name was a combination of researching within Heraldry.sca.org under German and Familysearch.org. once the name elements were in place then at that time used the joiner of “von” indicated that he was from Braunschweig or the German Brunswick. Finally, for today as always one of the greatest joys in my job is to recognize up in coming heralds with my favor. This time there is a guy in the girl club lol. He has been working as the Herald for the Shire of Giggleswick and I have watched his progress all year. Even working with clients outside of his kingdom. Cúán hua hÓcain Keep up the good work. This entry was posted in Submission Stories and tagged Heraldry on October 4, 2016 by conallandoire. For where this is all on a volunteer basis, and what we do as heralds is mostly on our own time. We each need a break once in a while, so that we can recharge and renew ourselves and get right back in that makes us who we are. 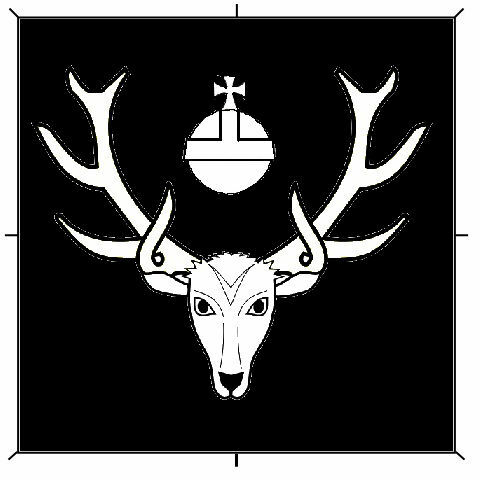 For me that bleh creeps up more during the winter where things are slower and calmer however at the same time the winter months is when I am most active in heraldry. Updating the OP, and working on names and arms for some clients that come up. Recently there was a period of time where I witnessed a few clients that were impatient when trying to research a complex name, or work out a tricky device, or I have had a client that was a bit difficult when dealing with an arms set up that this person was using for a period of time, however trying to make it registered a difficult process and when they would offer ideas the more difficult it was becoming and yet every suggestion you offer back was flat out rejected. Add to that, then you factor in the weight of the real world on the outside. The work, bills, responsibilities that everyone faces when not concentrating on what they love to do, or wish they could. Motivation I have often found comes and goes like the tide. 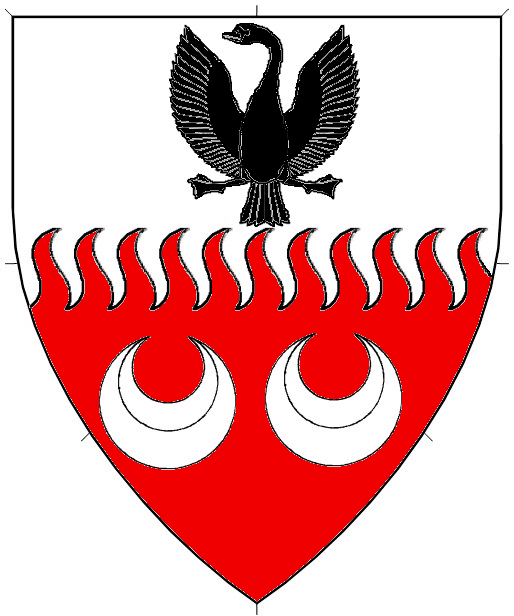 Sometimes I have the energy to “Blazon all the things! !” and there are often times where I am like, ehhh thanks im good. So, the big question is what makes me get up and continue on? Duty, for the largest part. Being a Herald is often time a thankless job for some, and often times the behind the scenes can seem not as daunting as say exchequer or even seneschal, or not as glamorous as say knight marshal. However, it is an important step for many a newcomer or veteran players that finally getting around to registering their arms. For me you would be surprised that the simplest thank you, when handing someone their paperwork and instruct them on how to send in their forms, or the yippee or hoorah when someone that you have been tracking for a bit submission gets registered is like a shot of adrenaline, for when they get that notification, either by me, or kingdom that their submission has finished the long process is a great motivator. Alternately when you are working on something such as either the OP, or if you keep a record of everyone in the local groups arms and registered names for example it’s the comments I see when I post an update on my local group social media that makes it as rewarding to see it appreciated as much as it was for me to put it together. Regardless of the reasons that you find that gets you out of your down time, and keep your clients rolling, good for you. Also remember we all need a break, we are only human, take some time off, communicate with your clients and let them know what is up so they don’t end up thinking you have left them high and dry, and come back to it when you’re ready. So, the next set of challenges will be approaching for me. How do I mean you may ask? Well I have compared (contrary to some conversations I have had in the past.) I feel that just like a good heavy lister, fencer, archer, artist you need to be familiar, maybe not an expert however, feel comfortable with each part of that chosen path. How do I mean about this? Ok, take this for example. A marshal in heavy list understands and can relate all the weapons forms that he will be expected to marshal. (Sword and board, two stick, pole arm, great weapon) for example. A marshal for archery understands even if at a minimal to be comfortable to inspect equipment for longbow, recurve, and cross bow respectfully. A fencing marshal understands all forms within that field of study. Book Heralds, spend the time to learn how to research, look up names, learn blazon, construct emblazon, fill out the forms (correctly so blue tyger never twitches) communicate with clients, track submissions, and something I need to work on even if I pic an hour each month, comment on submissions in OSCAR. Court Heralds: If you are the lead court herald, whether Baronial Court, or Royal Court you need to speak with the Majesties, or their Excellences, and get the Docit together for court, work with the scribes that will be bringing the scrolls to court, organize all other heralds that will be assisting with court, and read the scrolls in court of those receiving the awards. 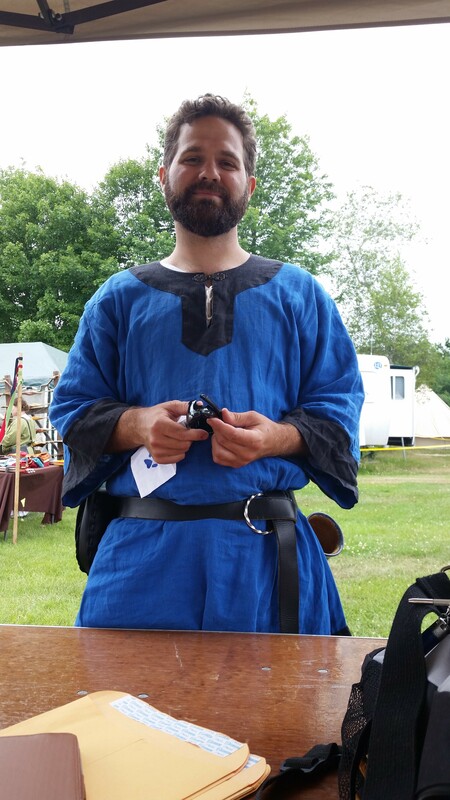 Field Heralds: A field herald comes in usually that I have seen in tournament settings. Most Notably in Crown Tourneys. Getting out there, being loud and proud, and making sure you have the combatants’ names if not perfect, as close to perfect as you can get, and don’t forget probably titles. Voice Heralds: Majority of this that I have come across, and I am certain there are parts of this I have yet to come across and will explore this as it comes up, is most notably in crying the camp. Getting the announcements, finding help to cut the path that you will take easier and more manageable, as well being again loud and proud and project so that all those that you have to announce for understand what you have to say, and know what you have to announce. Now here comes the challenge. How does one understand those parts in a way to be seen in those regards? Well for the most part is getting out there and doing it. For the most part this is not an issue for many. For me. Well I suffer from something that many do have, however for me it’s a bit daunting. Being loud and proud is never an issue. However I have stage fright. This is something I have battled even growing up and the idea of speaking in front of people a bit overwhelming. One or more people have mentioned to me “if it is such a chore, why do it?” to me this is something that is within the next steps of how I see playing this game. If a heavy list fighter wishes to be better, they must be seen fighting, field battles, tournaments, and wars. Same can be a kin to the fencer. An Archer wants to hit the Grand Master Bowman, or even win Kings and Queens, needs to go out and shoot. So for a herald? Go out and do it. So for me that will include, work through my fears and work at these things. Now with Court Heraldry, where as a Baronial Court maybe easier to work with then say Royal Court, which can be an avenue to train under. 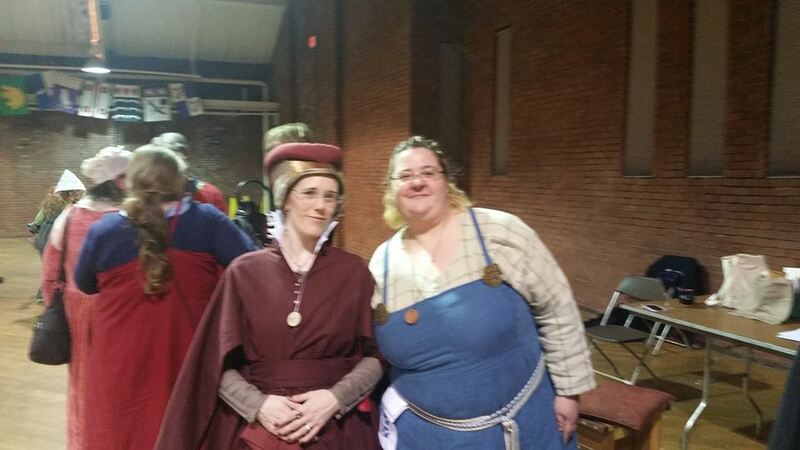 See how a Court is assembled, how the Docit is put together, and assist in reading. 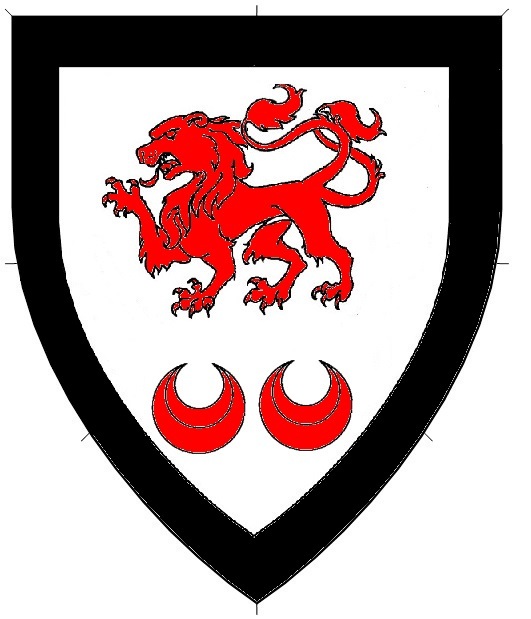 Book Heraldry, I would love to say it is easy, in my regard it was easier than the ones above, learning on where to go to research the names, know how a device goes together, become familiar with the SENA or at the very least know where to go to ask for that help. Once you get familiar of how it works then you start to see the number of paths that you can take, as well start to pick up the tricks. It is quite similar to above, however this is also the boring part as a lot of people may not like Book Heraldry vs the rest, for it is not as out there, it is a ton of behind the scenes work, the sheer volume of submissions that you can do, especially at Heralds Point at an event, or even at Pennsic can make all the difference. To face these challenges is going to be a task I take on myself, and even if I travel more north and south, and look at the baronial heralds and offer my services, with that be able to assist the royal heralds when they come into my region. I look forward to this and feel pretty confident this is a good way to go. 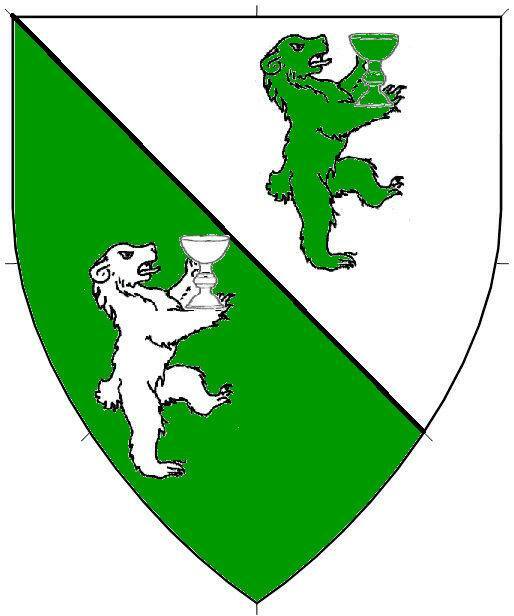 This entry was posted in Submission Stories and tagged Heraldry on November 5, 2015 by conallandoire. Great Northeastern War this year I knew would be exciting however I never knew how exciting that it would be. Setting up Heralds point can be a challenge to predict. Will you get clients? Will you have either internet via hot spot or have enough books to handle the clients that you could get? Will you have any clients? With some of these hurdles I started an active campaign to get as many clients that were interested before the event, so that way I had the access to all that I needed and their bye have them researched, prepped, printed, colored and ready to hand back to clients. I find this way of prepping for an event, efficient for the clients who maybe busy with other parts of the event, or may not have the time to hang around heralds point as we do the leg work. This way they show up, double check things, get their paperwork and head off to fight, fence, shoot, make pretty things. All easy. The part I never suspected was the amount of clients I would get before the event. 23… yep 23 submissions. Now keep in mind that sounds like a lot, however if you think of one client could request a Name, Device, Badge or any combination of those. So one client could have 3 submissions just by themselves. Now with that said keep that total in mind for the prep work was wonderful, and the assistance I got at GNEW was fantastic. However 23 in lack for a better term Pre reg submissions became the tip of the iceberg. So let’s look at them shall we? Arnora is a wonderful Viking name. When I say that it is like several names that I have had in the past, go to the webpage pic from the Female names, then go to male name pic your daddy, add some Patronymics and easy peazy done. So then all you have to do is make sure there is no other Bjólfr’s daughter named Arnora in the known world. Ahhh my friend wanted a badge with elements of his device “Sable, on a fess between three domestic cat’s heads caboshed argent three triquetras vert.” Ok, he knew what he wanted it was a manner of placing all the pieces together. 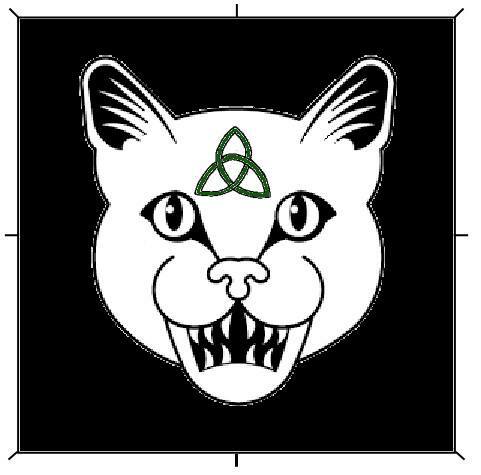 Sable from his background, the cat’s head (and people say I am going to be the crazy cat guy), and one of the three vert triquetra, the only difference was to tattoo that on the cats head. Interesting and then I saw it when it went together. Nice, run it through the conflict check and then the conversations start about making the triquetras bigger, talking over with Cailte in trying to figure out if an inverted triquetras to fill in the forehead better. A new guy to the area, and wishing to do a Russian style name and device, Russian outside of Vodka and Chekov I have yet, nor have much time to explore in this area, ok here we go. So the given name that he was looking for was specific, however what he was looking for I could not find documentation for however after looking down the period names I can see, we did find one that was so close that it was pronounced quite similar. Sweet we can do that, ok so his surname posed to be a little tricky. You see that where as many cultures are “son of” or “daughter of” this area and time frame, do a total change on the placement of letters in their name that make it “son of” or “daughter of” and it latterly took both us many exchanges and quoting the same thing before we helped each other understand it better. With Fedor’s device it was a bit tricky where as he really wanted a man holding a spear (after a conversation about trying to make it proper with a red sash, pale skin, black facial hair, and the difficulty we decided Or would make It less complicated and make it easier for submission, he also wanted two bears combatant. Ok no problem however how the best way to keep from slot machine? Place the bears in chief and the human as the primary charge slightly larger and moved down. Now with this there was a unity of posture rule issue. Where it is a list of postures and orientations that can be used to determine whether two charges or groups of charges conflict. (Yep a mouthful). With this device fortunately the bears and the humanoid are in different catagories. So their positions didn’t cause conflict. A bit of warning with devices like this. The swan has a thing we call a Step from Period Practice because the only thing in period was shown as displayed would be Eagles. So any other displayed bird we do show in herald, just out of the time frame of the sca. Step from Period Practice can happen but each client is only allowed one. So be very careful when you run into these. Ahhh Lasair, how I love your clan, and at the same time there are moments I want to drown my sorrows. Ok, first name, Thanks to someone who owns I book that I have about Irish names and just had him take a picture of the page and entry. Glad I got that book to avoid that again her surname is easy right off the medieval name archive at the academy of saint Gabriel. In many cases easy is wonderful. A good friend of mine got into the sca and decided to want an Arabian name; anyone who has known him will know this is really no big surprise. After doing some research on names for that area and time. And even though his persona is being set as an orphan, their naming culture still always would include the ibn for son of. So like Norse and other patronymic naming cultures, it really is you son of, or daughter of, dad or mom. Sooo pick from column A and pick from column B and we throw in ibn and name game set match. His device has one thing on it that for the life of me I really dislike in heraldry. Not because I find it a bad peace of heraldry, no not at all, I find that the rules within the SENA as well every time one of these it is almost the rules change. What am I talking about? I am talking about chevrons or even inverted chevrons. Why could these be a difficulty? Really simple it’s the matter of how much they take on the shield, and after a couple of College rulings on the matter, I always have to see help when drawing these for I have had devices get rejected for improper chevron depth, angle, or what not. Ok so after getting assistance about how the chevron is going to look and we talk about color patterns, the talk of charges come up, he wanted a bat for one, (and again anyone who really knows Nasir knows this is a no brainer). The final part is he wanted a triquetra within the mix, well with a chevron this developed a problem do to the way a triquetra was as well fitting it right. It was decided that inverting the triquetra was better for the fit. It really does bring it out. Now a thing about the bat. In heraldry we do not call it a bat. They are classified as a reremouse, mmm ok flying mouse not a bad thing after all. Ranka was one that I have worked on before, however she felt that her original name was harder to pronounce. So what we found was a name that rolls off the tongue better for her, and really feels that it fits as well. Roland was a first for me, for his name was already registered, however he wished to just change his surname. Interesting for when I get someone that is wishing to update his name it’s usually a whole thing at once, I have never had to just change one element. So the question is what it that we do for documentation for this is. Well in this case what we do is document the name element that he wishes to keep and then notate which LoAR that it passed on and then after that just document his surname. This was an interesting search for where I could not find documentation anywhere I normally go for this name. I went to the OSCAR. This is where all names, devices, badges, etc. go through for their process for submission. Did a search for de la Mar and found multiple entries. So that is where the leg work has been done, grab a good entry and then add it to the form. All set and done. Marie I was surprised with her name, she sent me the request for a name that was on her AOA, this can be either very easy or a frustration for if a gentle gets an award before they submit their name, it is possible that either one, their naming construction is not period, or two their name is taken by someone else. So going to Academy of St Gabriel on this one and do a quick couple of browses on Flemish naming and found in one shot her given name. Her surname took a bit cause there is obvious known location of Agincourt, however it was the idea of how this to be constructed. 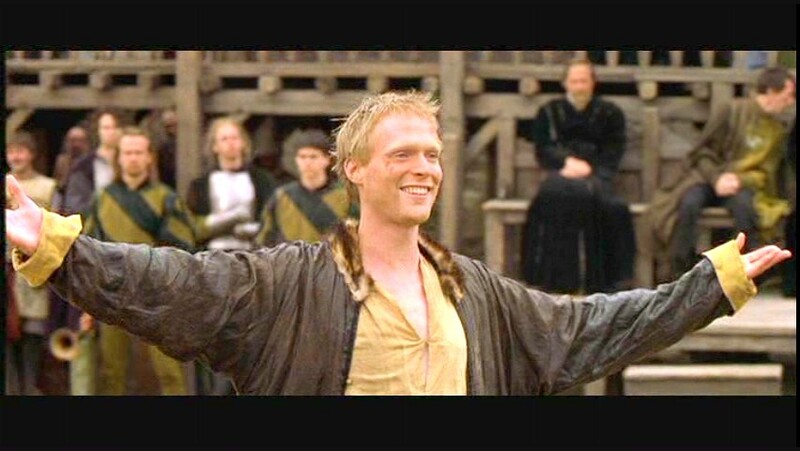 Run to OSCAR figuring that someone had to have put in a locative place name of Agincourt before and got really lucky. Not only is there documentation however also documentation for the D’ to mark it as a locative and that she is from Agincourt. Her device on the other hand is one part ok and the other part has me sooooo cautious. See the lady in question is a gamer geek, and those who know her know this well, hell her vehicles license plates are listed as “Nat 20” so what was her first request, twenty sided dice as part of her device. 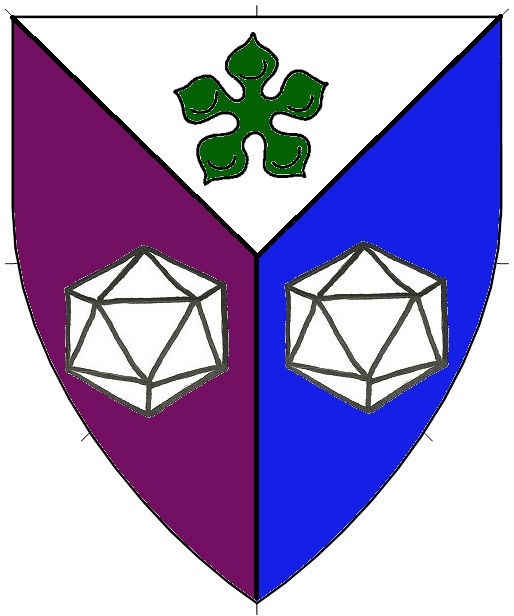 Now for those that browse the web, we have found that gaming in period and thanks to many Archaeologists there is evidence that more than the traditional six sided dice in existence, however in heraldry there is little to no existence that was use in heraldry. So how do we work this? Use the mathematical definition of a twenty sided die which is icosahedra. There is a precedent that this has gone through once I can hope that the two that she wants will go again. There was a few more that came before however to give them a proper entry I will have to start part two for them. For the rest of this I would love to take the opportunity to thank all those that came to assist at heralds point. 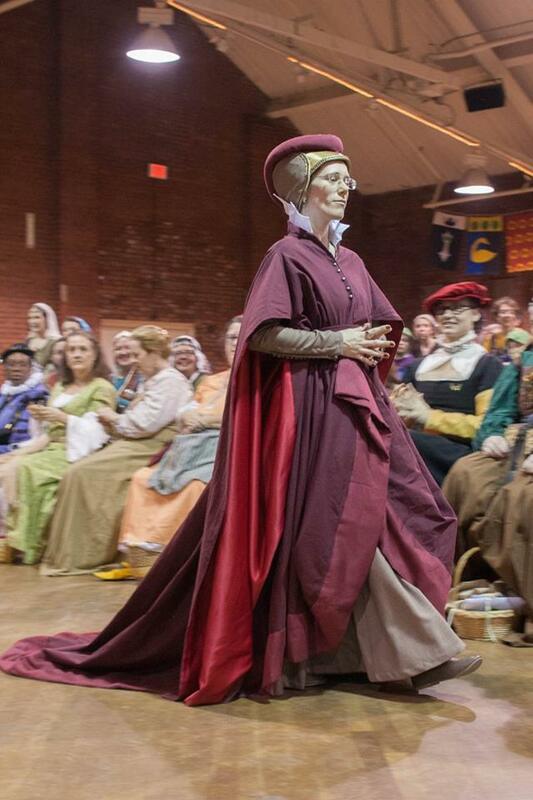 As one of my duties as regional herald is to “Assist the Eastern Crown Herald when the Royal Progress comes to the region.” Well as real life can have a way to do so, the Malagentian herald had to stand down from her office. For the record I do not fault her, I know what she has been going through and did support the decision. Granted the timing was a bit off but hey that is how we play the game. 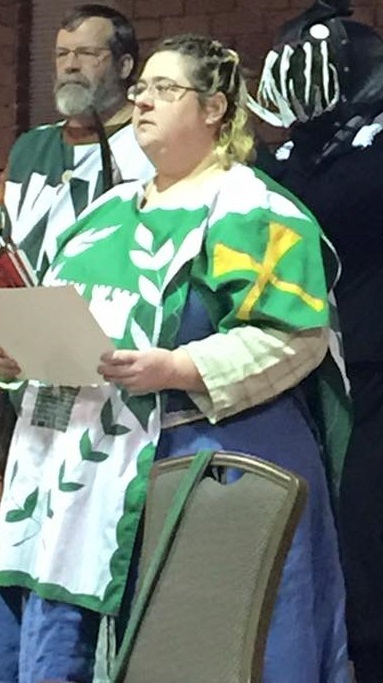 Well with her standing down someone needed to stand in as herald as the province get nominations, elections, etc. (or find a willing candidate, hog tie them and throw them into the ring). That was a no brainer; I jumped into that as pro temp. So with this I was covering two aspects. Local herald, where at events such as this, Heralds point, is your primary concern. Second part toward that are my duties as regional herald. Assisting the crown herald, I really like, for I get to see and learn a lot of the behind the curtain and learn how court comes together. For reading scrolls, I am as green as green can be. I have been told that I can project well, however I have a stage fright like there is no tomorrow. Best way to get over this. Read, read and more read. Ultimately for me I would love to get the words to scrolls at least a month. So I can research pronunciation and how that all goes together. Well in this particular case GNEW was a fun but yet tiring challenge. How do I mean, well follow this. So as close as we were getting to GNEW the work was coming in for the pre-game work, wonderful, and then word came down how many courts there would be at GNEW this year. First round it was one LONG court, second call out was a couple of LONG courts (and when I say LONG I mean over 3hrs) and then I hear many smaller courts throughout the duration of the war, and three Large courts, one on Friday night, another on Saturday morning, and the traditional court on Saturday night. I show up to the staging area, and find out there are 79 pieces of business. Whooo ohhh lets do this, (meanwhile my mind is thinking this will be a LONG day) so start working with the court herald in prepping for Friday night court. Just a few pieces of business for this one where the Orders of High Merit will be rewarded and one Knight going to vigil. And that is where it hit me. Well not to get to deep into it, I am helping getting things all in place and I look and go “why is my name here” As I was to be brought into the Order of the Silver Crescent. I needless to say floored however job still to do. This was going to be my first time playing rear herald. What I was to do, was to follow down the court report, and have things ready for the court herald reading. When mine name was called, I hand the book to a fellow herald, walk up, kneel, and let it all flood in. As soon as the order welcomed me as one of their own, and then it was “Back to work”. Saturday morning was one of those that you learn two things, pacing yourself and drink at every opportunity you can. Saturday morning was where the bulk of those getting their award of arms, and those being sent to vigil for the peerages they would be entering. This proved to be where I had the problem. Not because I was nervous cause believe you me, I was. Cold reading is a special thing many people can do, where they can look at words for a scroll, in like 3 min or less, and nail it at court. Me, on the other hand prefers preparation. So a couple of scrolls that I was ask to read had a couple of hick ups for I was not sure of the flow. Here is what I will mean by this. If I had read a scroll in the comfort of my own place a couple of times, that I can rehearse how the words go together and feel the cadence if you will of how the scroll sounds. And when reading it in court I have little anxiety over what I could be if read cold. One person asked if this is something I am not comfortable doing why do it? Simple this is a challenge and a personal battle, and as part of my job there by it’s personal to overcome my own anxiety to help make court run smooth. Overall a wonderful weekend and the fun begin as I update the Order of Precedence. 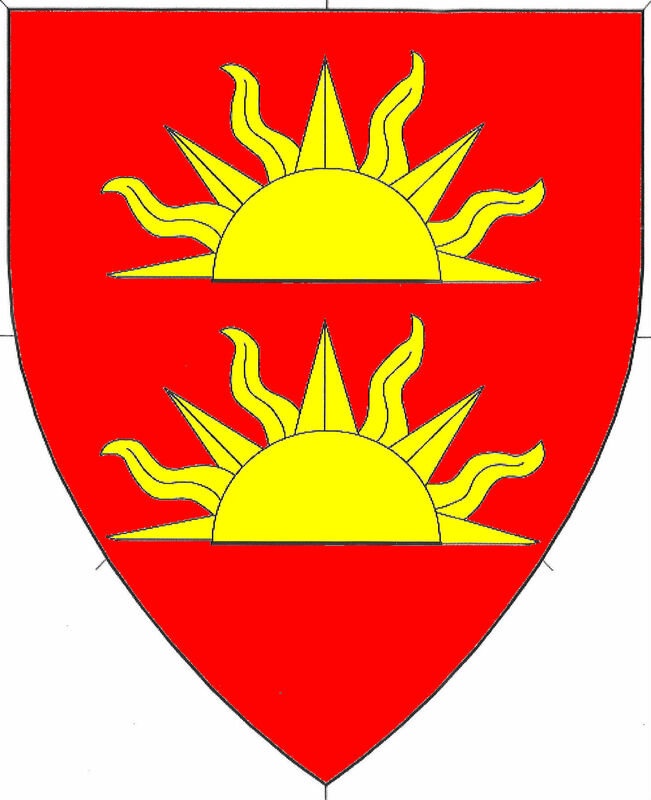 This entry was posted in Submission Stories and tagged Great Norteastern War, Heraldry on July 24, 2015 by conallandoire.